We can all find being productive hard at times so I have compiled a list of web browser extensions to help you get that work done! All of these will work perfectly on Google Chrome and are FREE. Yay. Although I only found these for Google Chrome, it is likely there will be versions for other browsers. The first of the free extensions is Whatfont. A useful tool to understand what fonts are being used on websites. 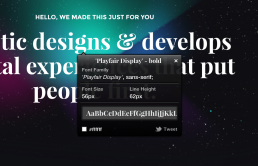 This can help you understand what fonts are popular or work well on screen. The next on the list is Eye Dropper. This handy extension allows you to pick colours from any website. Not only that it also suggests a colour similar that may work better. It gives you all the info on the colour you’ll need to bring them into your designs! Full Page Capture is a nifty extension for when you need to screenshot a web page. 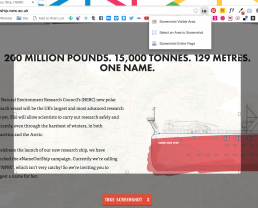 You can select to save the whole page, part of the page, or only the visible area. Alternatively, there is Ember, which is free for 14 days. Ember is a piece of software you download and it sends the screenshots there. 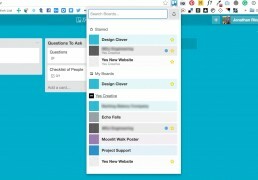 Trello is a website that allows you to create collaboration boards with your team or friends, with the ability to create lists, check-lists, images and view what specific people are working on. With this useful Chrome extension, it displays the boards and quickly takes you to them. Grammarly claims to be 10 times better at finding mistakes than your word processor. I really recommend this extension, it works on anywhere you write online. So even when you’re writing those Facebook updates! The extension scans what you have written and highlights what is wrong allowing you to make the changes. This works on Chrome, Safari and Firefox! 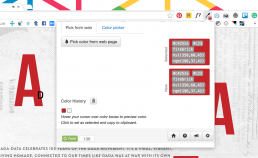 Page Ruler is great way for designers to find out the exact pixels on a web page. There is also the ability to change the guide colour and hide the guides. Perfect for when you need those exact pixel measurements in your designs or code. Most of you have already heard about Pinterest. 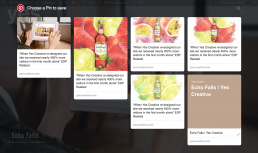 Pinterest is a social network where the users can create visual boards (just like pinning photographs to a corkboard in real life). What this extension allows though is that you can add images you find on other sites. Pocket helps people save articles to read later. Sometimes we all become a little busy and see an article that we want to remember to read later. With Pocket you sign up, allowing you to save all the articles in one place, and even allows you to save tweets to read later. Pocket is also available on iPhone, iPad, Firefox, Android, and even Kobo. My name is Jonathan and I'm a freelance Graphic Designer from the South of the UK, who adores design, print and photography.